Are they magic? Yes. And No. The cards aren’t magic. The magic is inside of YOU. The cards are just ink on cardstock. The magic is in your heart and your whole being. As you shuffle the cards, a magical thing happens… you pull the cards that are meant for you. Call it divine guidance, intuition or just random chance. The cards are just 78 beautiful images. The magic, is in your hands. Tarot is a very pictorial system. The images and symbols are meant to tell a story and help you find answers in their meanings. There are 22 Major Arcana cards, thought to represent the more Karmic situations in our life, and 56 Minor Arcana cards, thought to represent the day to day situations we encounter, and the ones we tend to have more control over. Some readers will tell you Tarot is for fortune-telling and prediction. 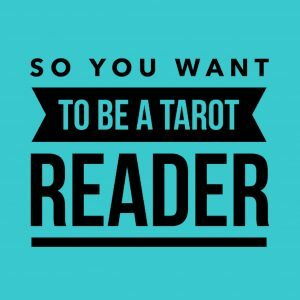 Some readers will tell you Tarot is for self-development. I strongly believe it is for both. Tarot is about using the pictures and the images to access ideas or answers that you may not be aware of. I love Tarot for advice. Seeking the best way to approach something or how to handle something. I may want to know what the best approach is to take with a potential employer during an interview, or how to best prepare for the interview, or even whether or not the job is one that I am best suited for. But what fun is it not to ask if I’ll get the job?? 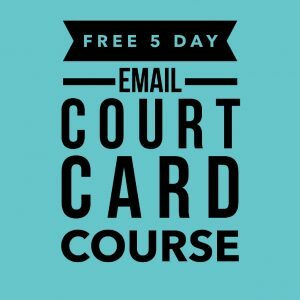 The good news, is that you get to decide for yourself how you will use your cards! Listening to your intuition on what you believe the message is during each reading is the only thing that really matters. Trust the voice in your head, even if you think it’s just your own. It IS your own. You just have to trust it. No, contrary to an old myth that still floats around, you don't need to be gifted your first deck of Tarot cards. Now maybe you were, and that'stotally fine, but there's no superstition saying it's bad otherwise! The RWS decks are a good choice in the beginning since so many books and sites use them, it makes it easier to learn. However, the most important thing when choosing a deck to read with, is that you must connect with its images easily. 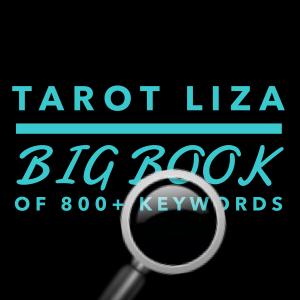 You absolutely need to read with a deck whose images you are able to instantly recognize and connect with. You feel them. They speak to you. This post will show you some of the most popular styles of decks and some examples as well, The 5 Most Popular Choices for Choosing Your First Tarot Deck. This stage is all about building your skills and knowledge base. You’ll likely start out by looking up meanings in a book or on a website. I strongly recommend you familiarize yourself with traditional meanings from a reputable source. Don’t pressure yourself to try to start memorizing them all! Just get familiar with them. You’ll likely find you have some meanings of your own that the cards seem to represent to you. That’s perfect too. It will take time to get to know them all well, don’t rush it, you’ll get there. Start with traditional meanings, and build your own interpretations into it. A keyword chart is excellent, to jog your memory of a card without having to open up a book. You can check out my Complete Library of 78 Cards, Upright and Reversed. There’s a reason this piece of advice is offered time and time again. Some people will pull a card at the beginning of the day and reflect on it throughout the day. Some will pull a card sight unseen, and not look at it until the end of the night to see if the day’s prediction was accurate. Personally, I like to view it in the morning, and then take notice as to how my day unfolds, because chances are, I can now see how that card can apply in real life, and add some examples for that card’s meanings to my journal. It’s a good idea to keep a journal of your daily card pull, you’ll be surprised how much you learn from it. More importantly, when you are pulling a card and studying it EVERY SINGLE DAY, you are continuously working on building your tarot knowledge, a little bit every day. You can learn a lot from one card, here’s a good example How to Answer Any Question with Just One Card.